No knead dough doesn’t rise like standard yeast breads, it only puffs up and gets bubbly. It will be a little bigger after the resting time but don’t look for a much larger volume. Your yeast may not be fresh and should not be used past the expiration date. Even with a good expiration date, yeast has a short shelf life once a package is opened. Even with the small packets, once it’s opened, yeast should be tightly sealed and kept in the freezer, not refrigerated. Your water may have been the wrong temperature. For the faster method, hot tap water is usually around 125 to 130°F. Anything hotter than that is too hot. And boiling water is definitely out. For the overnight method, cold to room temperature water works. You changed the recipe. It’s best to follow the recipe exactly for the first time. That way you know it works. Don’t change the recipe the first time, paying attention to every detail. You can get creative later on. My dough was too dry. You did not aerate your flour before measuring. Flour always settles in the bag or container and must be aerated before measuring; otherwise, you will be using too much flour. To aerate flour, using a large spoon or spatula, stir the flour around to incorporate some air. You measured the flour incorrectly. To measure flour, use a flat-topped measuring cup, gently spoon the aerated flour into the cup until it’s mounded above the rim and level off the excess with the back of a knife. Do not tap the cup or the container of flour. You changed the recipe or used whole wheat flour. My dough was too runny. You used too much liquid or not enough flour. Use a cup specific for measuring liquids, have it on a flat surface and view it at eye level to make sure your liquid is at the correct line. You sifted the flour before measuring, which would cause you to use less flour than required. Never sift flour before measuring unless specified in the recipe. My bread wasn’t cooked inside. Your oven (and pot) were not preheated long enough. Use an oven thermometer to make sure your oven has reached 450°F. It can take over half an hour. My bottom crust was too hard. Your pot was too close to the heat. Try raising the oven rack so the bottom is not as close to the heat. Your oven may be hotter than you think. Use an oven thermometer to assure your oven is the proper temperature. Try a slightly lower temperature by preheating to 450°F but lowering the temperature to 425°F to bake. If using a black cast iron pot, try another one that is not black. Do not bake any longer than indicated. How do I aerate flour? After aerating, there are two ways to measure the flour: 1) Scoop & Level – Gently scoop the flour up with a spoon and sprinkle it into your measuring cup until it’s mounded above the rim. Do not tap the cup or the container of flour. Finally, level off the excess flour with the back of a knife. 2) Dip & Level – Gently dip your measuring cup into the flour until it’s mounded above the rim and level off the excess flour with the back of a knife. Sources vary but in my kitchen, a cup of flour weighs between 4 1/2 and 5 ounces. Can I make it with Gluten-Free flour? Well…. you can make it with gluten free flour but you may not like it. I tried it and the loaf was smaller and more dense and chewy, without the traditional big holes and it didn’t taste anything like the original recipe. I tried it once but nobody wanted to eat it. Can I make it with Sourdough Starter? I’m sorry I have no experience with sourdough starter. Don’t you need sugar to feed the yeast? No. You do not need sugar to activate the yeast. This is a half-true old wives tale left over from when yeast wasn’t preserved as well as it is today. Doesn’t hot water kill the yeast? Parchment paper: Paper stuck? Don’t have parchment paper? If your parchment paper stuck it’s from using an inferior brand. Reynolds brand will never stick. If you can not get Reynolds brand you need something to lift the dough and place it in the Dutch oven. You can try using a well floured kitchen towel to transfer the dough, letting the dough roll off the towel into the hot pot. Do not leave the towel in the pot, only use it as a means of lifting the dough. Do NOT use wax paper in a hot oven. It will melt onto the bread and it will be ruined. I don’t use a towel because my dough always sticks to the towel. Parchment paper makes the job super easy but inferior papers can stick. I always use Reynolds brand – it never sticks. I don’t have a Dutch oven. With a little research, you may be able to find more options and you can also look through the comments below the recipe for other ideas. 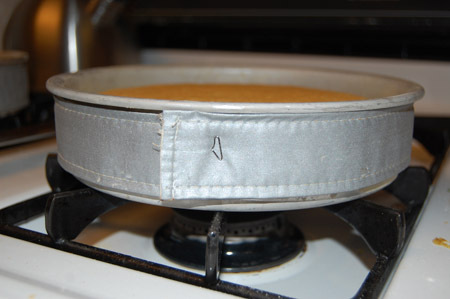 Keep in mind that any lid must be tight fitting because you need to create steam inside the pot and the lid should have an oven-proof handle (not plastic). Your pot will need to hold at least 3 quarts but 5 to 6 quarts is most common. Or… You can make my No Knead Ciabatta Bread or No Dutch Oven Bread – they both bake on a pan, no Dutch oven needed. Click here for the recipes. A Final Note: If you have followed my recipe exactly with no changes at all and it doesn’t look right before baking, don’t make adjustments to try to “fix” it. Trust the recipe, don’t change anything and continue as directed. You may be surprised that it turns out after all. WITH BAKING, IT’S IMPORTANT TO FOLLOW THE RECIPE EXACTLY, RIGHT DOWN TO THE SIZE OF THE PAN. EVEN THE SMALLEST CHANGE CAN CAUSE A RECIPE TO FAIL. Your liquid may have been the wrong temperature. Using an instant read thermometer is the best way to know it’s correct. Your yeast may not be fresh and should not be used past the expiration date. Even with a good expiration date yeast has a short shelf life once a package is opened. Even with the small packets, once it’s opened, yeast should be tightly sealed and kept in the freezer, not refrigerated. You used the wrong size pan. Using a larger pan than is noted lets the dough spread sideways instead of rising upwards. You changed the recipe. It’s important to follow the recipe exactly, paying attention to every detail. You used a different flour than stated in the recipe. You sifted the flour before measuring, which would cause you to use less flour than required. Click here for my Flour Basics. Click here for ideas on where to rise dough. Click here for the difference between baking powder & baking soda. If your parchment paper stuck it’s from using an inferior brand. Reynolds brand always works for me. I got a cheaper parchment paper once and everything stuck to it. I only use Reynolds brand – it never sticks. (This is not a paid endorsement, I’m just sharing what works for me). NOTE: Wax paper is NOT the same as parchment paper. DO NOT USE WAX PAPER in the oven because it will melt onto your food. 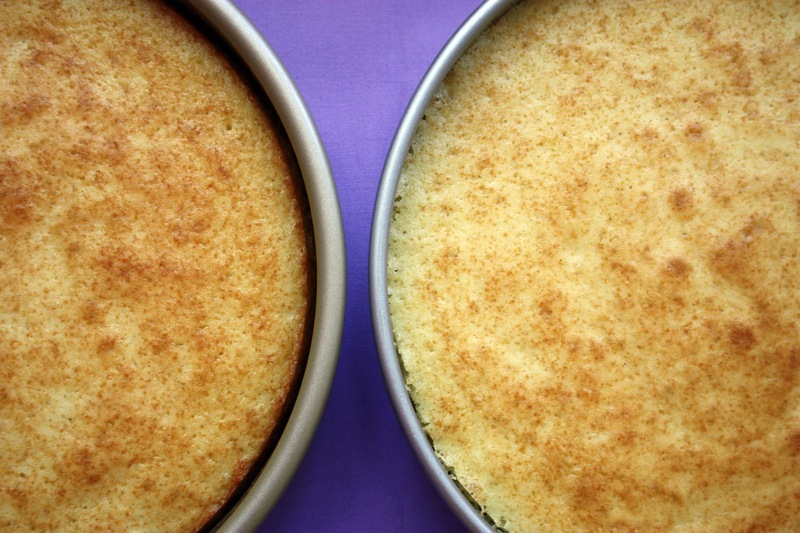 If you bake a lot of cakes there are two issues that need fixing. One is that they rise too much in the center and the other is that the edges get over-baked and dry. A cake strip will fix that. Here is my yellow cake baked with no cake strip. It’s domed in the middle and the edges are overdone and dry. And here it is with a cake strip – perfectly flat and the edges are soft and evenly baked. A cake strip is easy to use. You just soak it in water for about 15 minutes, then press out the excess water and wrap it around the pan just before baking. 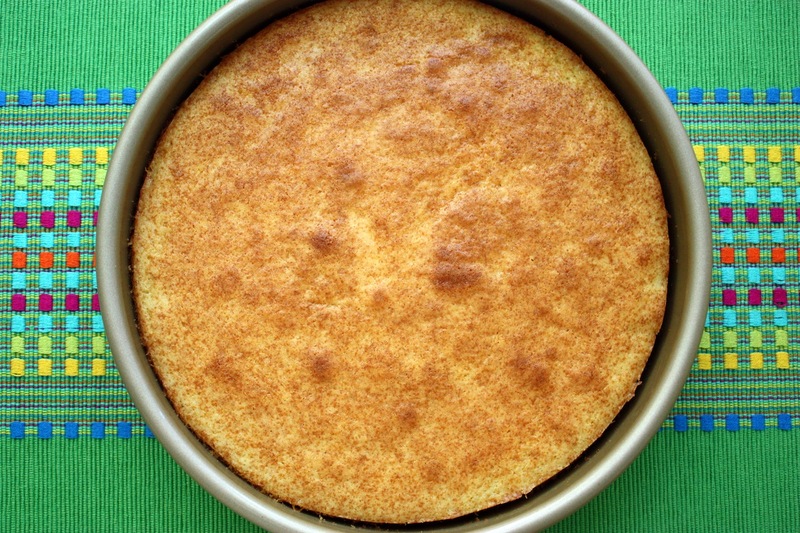 It protects the edge of the pan from getting too hot and the cake will bake evenly. If you can’t find one, you can fashion your own using fabric. I have never done that but you can find lots of how-to’s in the internet. They’re also called baking strips for cakes. The pan on the left is my more expensive Williams-Sonoma Gold Touch pan that I never thought of as dark. The pan on the right is a cheaper silver colored pan (with no brand name so I don’t even know where I got it) but the cake in the cheaper silver pan came out perfectly. The edges were velvety soft and the cake didn’t brown too much. The one on the left was okay but the edges pulled away a bit and it browned a little more. 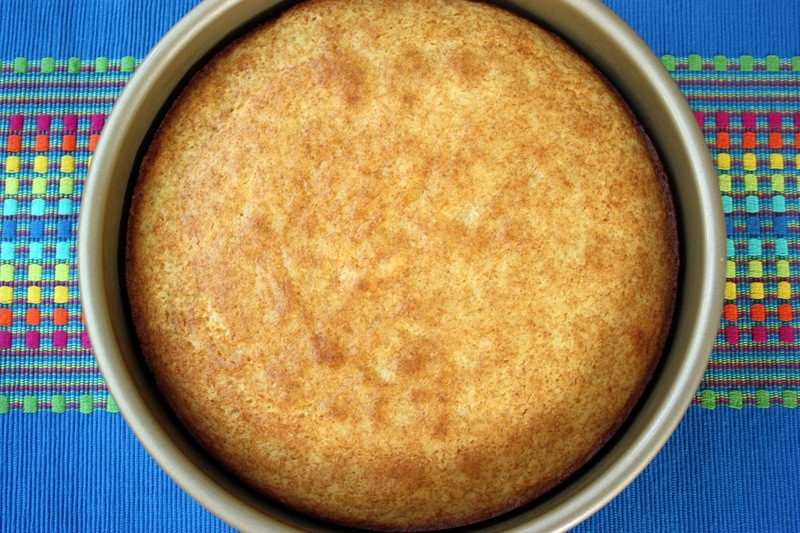 Bottom line: use a silver colored pan and a cake strip for a perfect, soft, yummy cake. Why Do Cookies Spread Too Much? 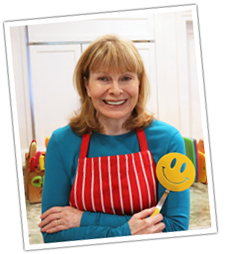 Linda asks… Hi Jenny….love your cooking videos…when I see that a new one is available, it is like Christmas around here. My question is this: I love making chocolate chip cookies but sometimes the dough spreads so thinly in the oven at 375o and tends to burn on the outer rim and be a little raw in the middle. I have tried lowering the temp to 365 but it still happens. I am wondering what the reason(s) might be for this? 1) Oven is not hot enough. Before placing cookies in the oven, make sure it has reached 375 degrees. You may not be waiting long enough for it to reach 375. An oven thermometer is very handy for this. I usually preheat my oven for 30 minutes. 2) Baking pan is too greasy. It makes sense that things will slide around on a greasy surface so try not greasing your pan and using parchment paper. The added bonus is there is no cleanup. 3) Baking pan is warm. There are two reasons this could happen. One is if you keep the baking pan on the stove while the oven preheats and the pan gets warm. The other is that you don’t let the pan cool completely when making a second batch. Some other solutions are to shape the cookies and chill them in the fridge for 15 minutes or so. Then put them straight into the oven. If your pan fits, you can shape the cookies on the pan and put the whole thing in the fridge to chill, then put the cold pan in the oven. Also, don’t over-beat your dough. And avoid any substitutions like using whipped butter, etc. If this information doesn’t solve your problem, please send me the EXACT recipe as you make it and I will try to help.